The momentum for our January KAL is amazing! It is not too late to join. If you are in the mood for a shawl, join Olga in knitting up the Jodi shawl. If a sweater is what you want to be working on, knit along with Beth on the Weekender sweater. We kicked off our Jodi shawl and Weekender sweater knit-alongs on January 14, 2018. The weather was perfect for driving and we all had cabin fever after the week of below twenty temperatures. For those that are looking for the tips that Beth had typed up from the first meeting, you can download them here. It's not too late to join in the fun! 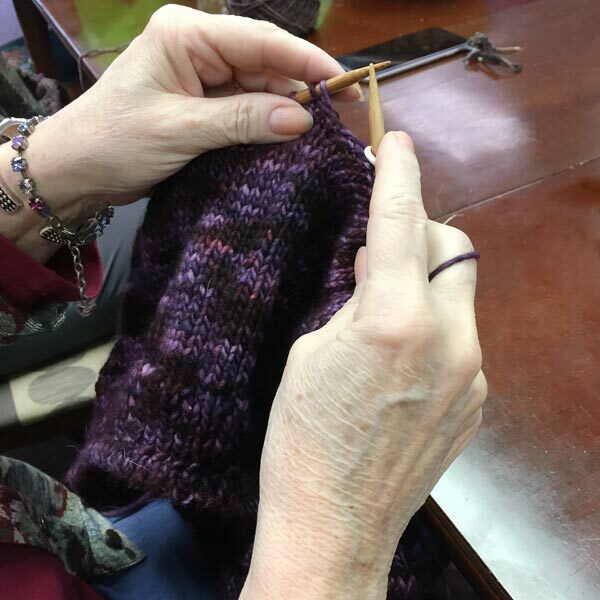 Our next KAL meetup is January 28, 2018 and we can't wait to see the progress of all the projects. Olga and the Jodi shawl group will be meeting from 12-1:30. Beth and the Weekender sweater group will be meeting from 1:30-3. If this is the first time you have heard of the studio KAL here is the information you need to decide if you want to still join in. It is never too late to pick up your needles and join in. The beauty of joining later is you can see what others have done and what you like! 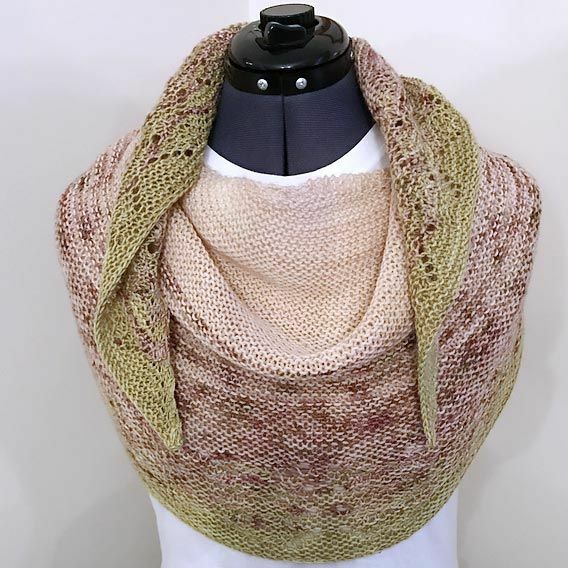 The Jodi shawl pattern, designed by Joji Locatelli, may be purchased on Ravelry or through the studio. Our studio sample is made out of the The Farmers Daughter Squish Sport. However, any sport to dk-weight yarn will work for this cozy garter stitch shawl. The Weekender sweater pattern, designed by Andrea Mowry, may be purchased on Ravelry or through the studio. Our studio sample is made out of worsted weight Malabrigo Rios. However, any worsted weight yarn will do such as Madelinetosh Vintage, Plymouth Galway, or Berroco Vintage. When not meeting in person, we would love for you to share your progress online. In the River Colors Studio Ravelry Group, there are designated discussion threads for the Jodi shawl and the Weekender sweater. It's a great place to post progress photos, ask for advice from Beth and Olga, and to cheer your fellow knitters along. If you have created a Ravelry project page for your Jodi shawl or Weekender sweater, don't forget to tag it RCSKAL2018. If you're on Instagram, we would love to see your WIP so don't forget to use the hashtag #RCSKAL2018.